Built as a mansion in the mid-1500s, the grand space was purchased by the city and expanded into a museum in the 19th century. 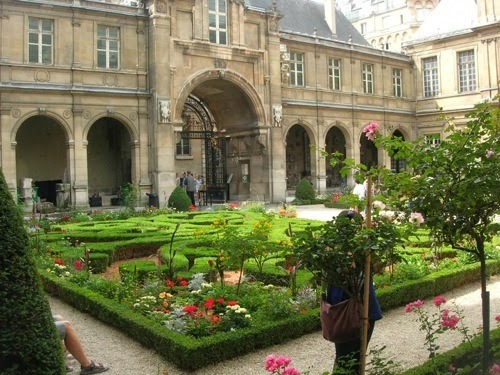 Madame de Sévigné lived there for the last 22 years of her life, and today visitors can meander around the gorgeous building for free and see the stunning paintings and sculptures of some of Paris' most renowned artists. 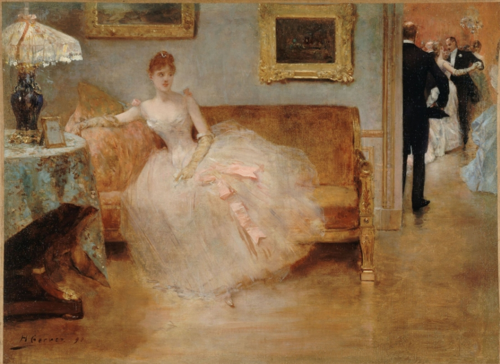 This is one of my favorites, Le Bal by Henri Gervex, depicting a girl taking a rest by herself at a party. Don't we all feel like this sometimes? (Sometimes at parties I go into the bathroom just to rest my face from smiling. But the most wonderful and unique part of Musée Carnavalet is its historical items and recreations. You can browse through Napoleon's favorite case of toiletries, some of Marie Antoinette's personal effects, Émile Zola's gold watch and a reconstruction of Marcel Proust's bedroom (complete with his actual bed and writing desk). 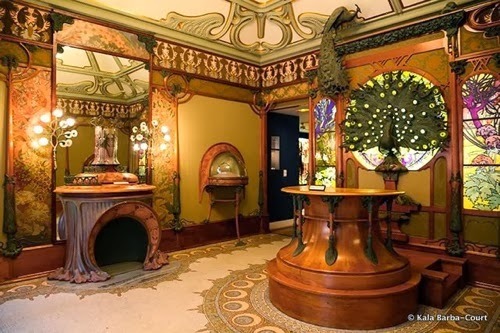 Yet one room stands out as an opportunity to step back in time: the recreation of Guy Fouquet's jewelry shop, designed by one Alphonse Mucha. The room is top-to-bottom beautiful, exquisitely ornate in Mucha's distinctive Art Nouveau style. I would buy literally anything this guy's selling. (I want to live here. While you're there, don't forget to take une petite pause in the museum's well-sculpted garden, particularly luscious in the springtime.